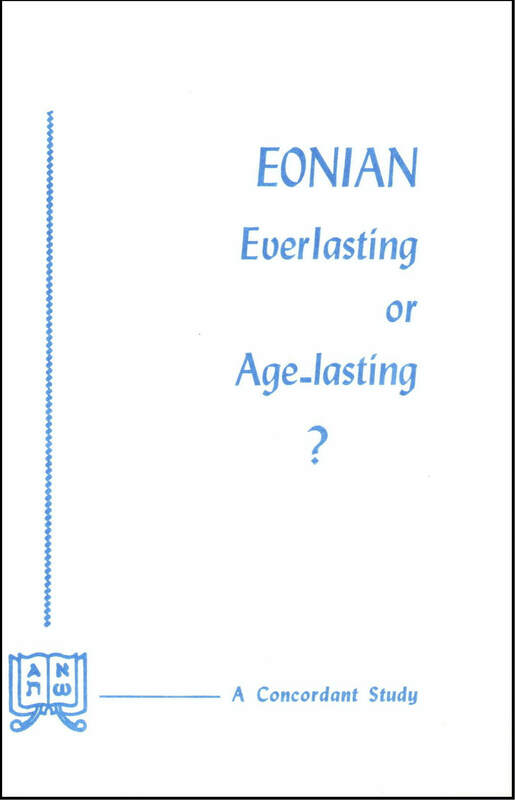 This booklet explores what has become a prolific source of confusion: the usual inconsistency in rendering the Hebrew word olam and the Greek words aiõn and aiõnios (uniformly translated “eon” and “eonian” in the Concordant Version). This booklet explores what has become a prolific source of confusion: the usual inconsistency in rendering the Hebrew word olam and the Greek words aiõn and aiõnios (uniformly translated “eon” and “eonian” in the Concordant Version). These same terms in precisely identical settings are frequently represented by a variety of English words conveying widely divergent ideas, even antithetical concepts. Clearly, a study of the subject should be founded on the inspired Original alone.